Welcome to for Smiles only. You are about to experience caring dentistry unlike any other. 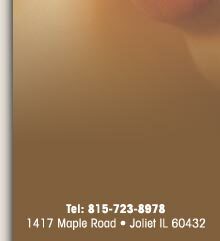 Bryon Hollenberg, DDS, has devoted himself since 1979 to bringing smiles to life for thousands of Illinois residents. But there’s so much more that’s different about us. There’s the high level of personal attention from a skilled dentist and his caring, professional staff. There’s the comprehensive dental services – from replacing missing teeth to root canals and nonsurgical gum care, from cosmetic and restorative dentistry to preventive care. Then there’s the most caring, skilled dentist you’re likely to meet, Bryon Hollenberg, DDS. Dr. Hollenberg brings artistry, compassion and skill to his work – and to people’s smiles – every day. But don’t take our word for it. Experience the difference for yourself.